Kimberly Hendrix of k.hendrix always had an eye for beauty and creativity, working as an interior designer, vintage collector, and seamstress prior to moving to LA to chase her dream of fashion design. Since then Kimberly co-designed a fall 2008 Mercedez Benz collection, had pieces featured in Vogue, and garments worn by A-list celebrities, among other achievements. Each piece in her collection is unique, beautiful, and made from 100% reclaimed and recycled vintage materials. Thanks to her use of recycled materials, Kimberly was also applauded as an eco-conscious designer by the Sustainatopia Awards 2012. What does fashion mean to you? Fashion is expression for me. Not expression of style and trends, as much as expression of one’s true self. I love seeing people transform themselves when they dress up or even dress down. There is a comfort level that people find and they let themselves just be. 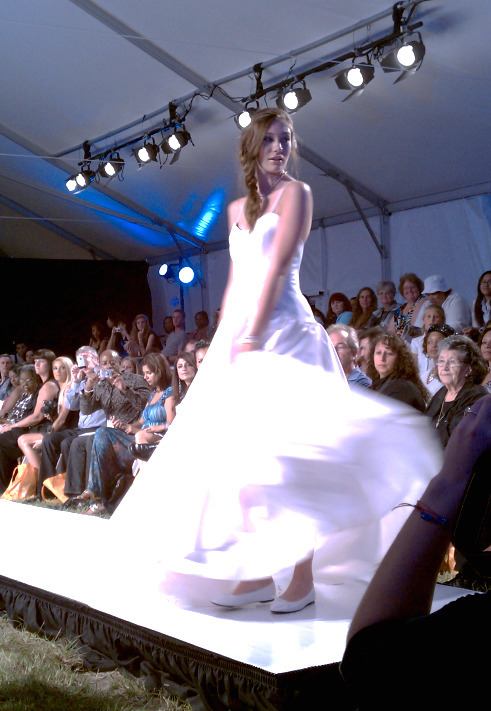 What do you hope to bring to Tampa Bay’s fashion scene? I would love to see Tampa Bay branch itself out. Not always being the trendy city with everyone wearing the exact same dress in a different color. I would love to see individualism stand out as it does in bigger cities and other countries. What matters to you the most as a designer? Making things I love and sharing them with others, using what I do to inspire people in many areas of life, not just fashion. What makes your line unique? My line is just that, unique, one-of-a-kind pieces, all recycled materials. The pieces always fit each customer, as if it was made just for them. And they will never see someone else wearing the exact same thing. My stuff is unfinished and raw for a reason. I don’t like people thinking these clothes are too precious to actually wear out anytime, dressed up or down. People should create their own look with the pieces rather than wearing them only as they saw them in the store window. You are one of our returning designers. 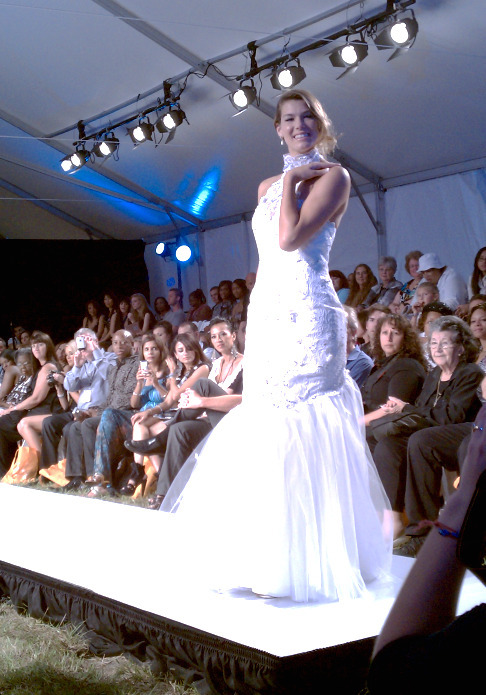 What was your favorite part of last year’s show, and what are you looking forward to most about this year’s show? I love the fashion chaos that goes on behind the scenes at Fashion Week. There is this amazing energy with all the designers putting their very best together to showcase and it is inspiring. For me, personally, each year in September I feel like my designs go through a rebirth and transformation. I try something brand new and I push it as far as I can to surprise people. Vintage inspiration, recyled material and plenty of sparkle. This perfect combination of ideas results in the stunning garments created by designer Kimberly Hendrix, which will grace our Tampa Bay runway later this month. K. Hendrix beautifully detailed creations are handmade and feature intricate beading, embroidery and raw details, not to mention the fact that each piece is made with 100% reclaimed or recycled vintage materials of the highest quality. After working as an interior designer for many years, Kimberly moved her great passion for art and immense creativity into the beautiful world of fashion. Aside from her own stunning collections, Kimberly also co-designed a full runway collection for Mercedes Benz Fashion Week, Fall 2008. Kimberly’s stunning pieces have appeared on celebrities such as Zooey Deschanel, Courtney Love and Juliet Lewis. The Fall 2012 collection features bold color, brilliant sparkle and delicate fabrics for a style experience that is truly miraculous. If a picture says a thousand stylish words, I cannot imagine how perfectly stunning such pieces will appear on the runway later this month. If I were you, I would make September 21st a top priority. Thanks to VERTICAL Tampa Bay Magazine, on Friday, February 11th, PUSH Ultra Lounge turned into a fashionably, So Not Sari night! VERTICAL Tampa Bay is an amazing virtual magazine celebrating fashion, flavor, travel, culture and beauty in the Tampa Bay area, and my Friday night amazingly consisted of all of these elements. 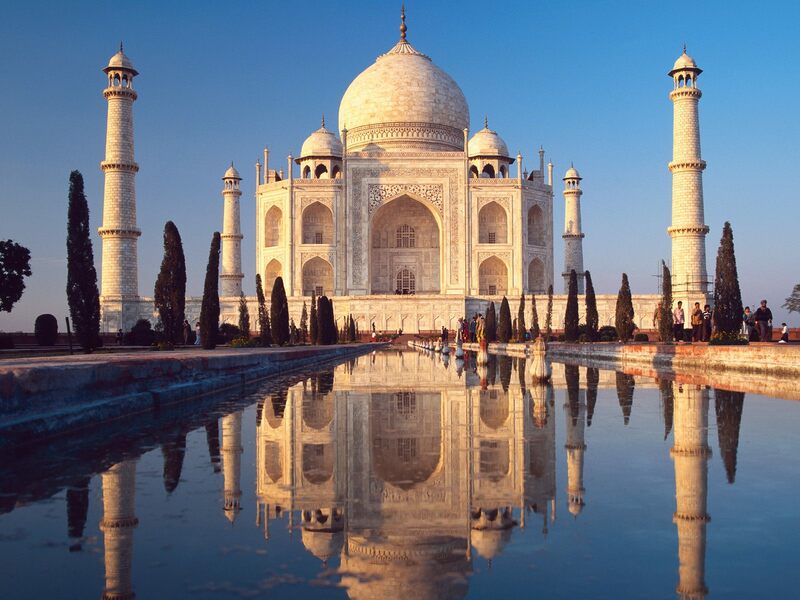 The night included fashion inspired by India, generous guests supporting a good cause and flavorful vegetarian food. 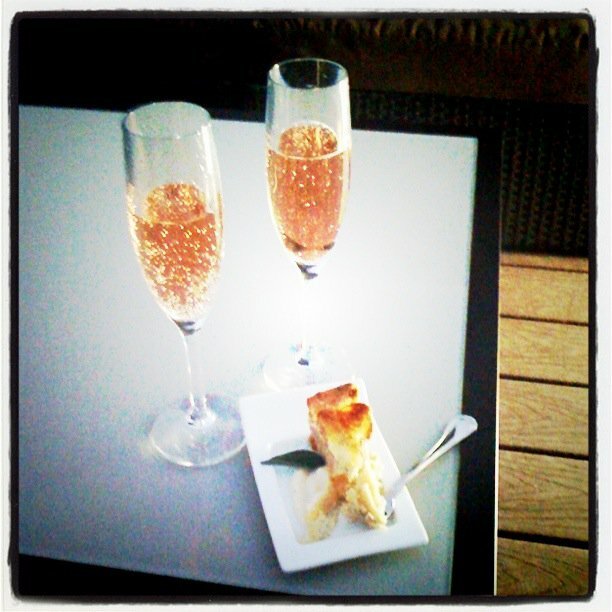 My evening began with bubbling champagne and delicious food on the rooftop… “delicious” doesn’t even bring it justice. It was the most creative vegetarian food I’ve ever had! The servers did an excellent job making sure my stomach was full and happy. Besides dessert (must save the best for last), my favorite mouth-watering dish was the mini portobello mushroom burger, which seemed to always be in my hand – no complaints here. 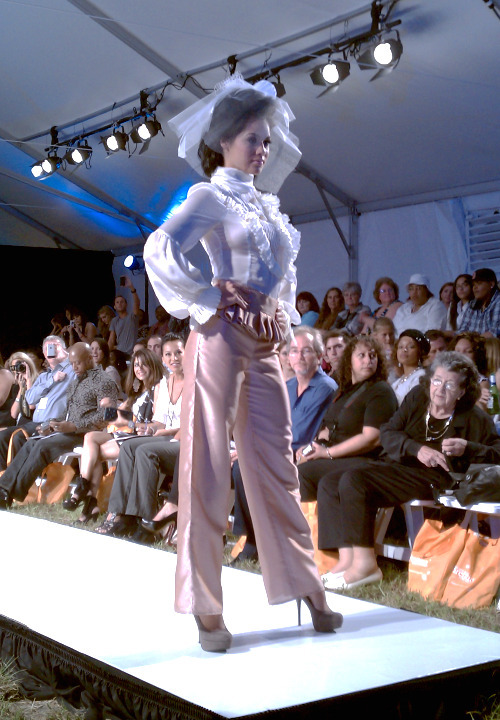 After mingling with some of Tampa Bay’s most elite, the fashion show began with the Creative Director of VERTICAL, Leslie Joy Ickowitz and guests of honor, happily enlightening the crowd on how the act of generosity turned into the So Not Sari event. 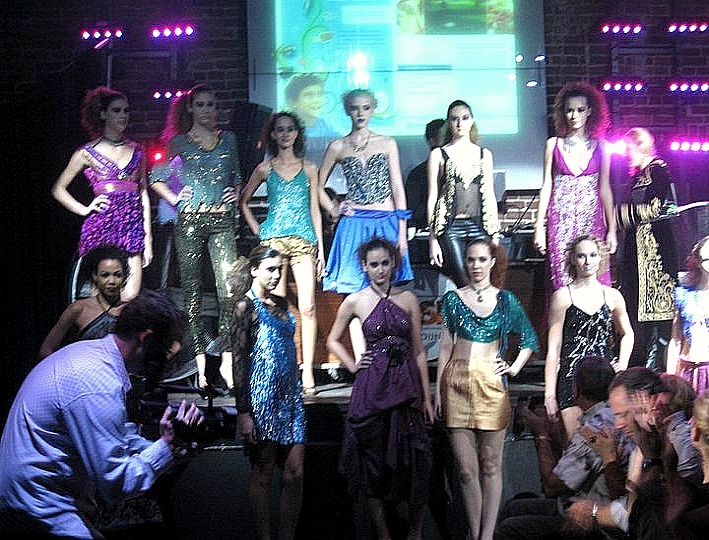 And then…the fashion show began! 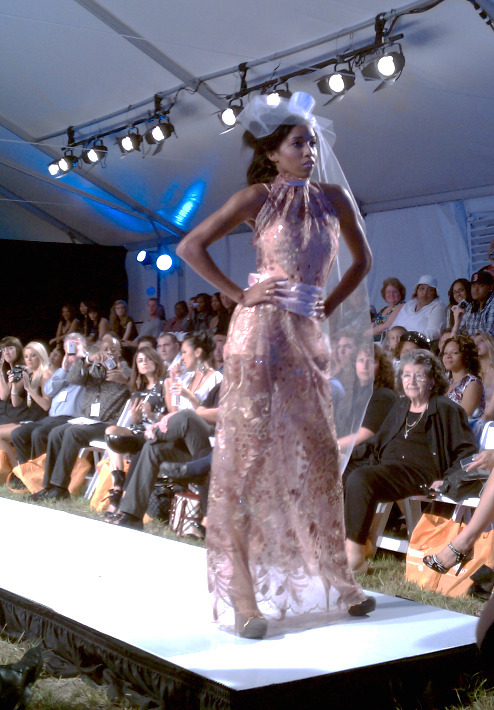 Kimberly Hendrix worked her creativity by combining Indian saris with the handmade k hendrix signature touch. The 12-look collection consisted of beautiful beading, vibrant colors and the creative craftsmanship that Kimberly is known for. Kimberly’s pieces were auctioned off after the show with 50% of the proceeds benefiting the organization StreetSAFE, which provides for homeless children in the Bay area. Overall the live auction went very well with guests outbidding each other for their favorite garments and more importantly, a generous donation will be made to StreetSAFE. And then there was…dessert! While waiting in line, I got a glimpse of what we were having for dessert but couldn’t quite figure out exactly what it was… I’ve never seen anything like it before. 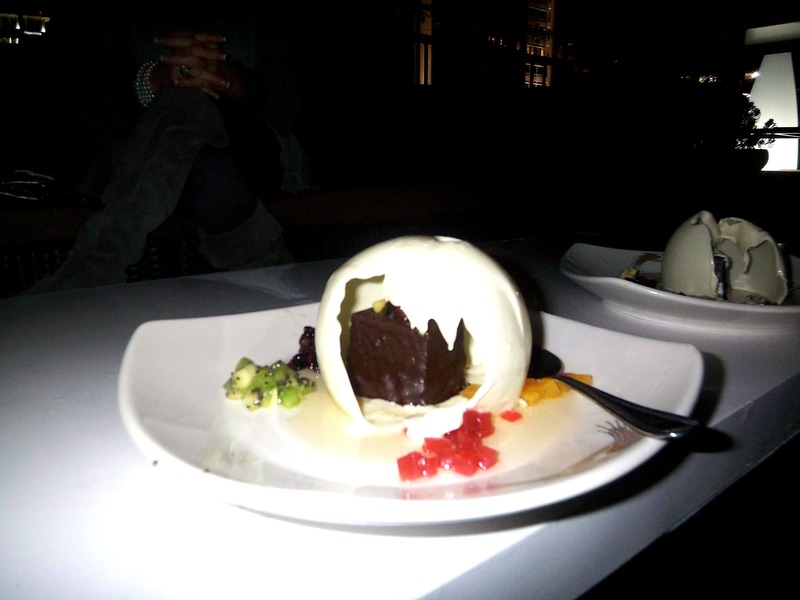 Soon I learned that it was the balloon au chocolat dessert a la by Puff ‘n Stuff Catering. The server pours hot rosewater onto the white chocolate balloon which would melt unto the dark chocolate cake beneath it. Honestly, it was the best dessert I have ever seen and tasted! To top if off, the rooftop view of downtown St. Petersburg was breathtaking. Everything that VERTICAL Tampa Bay Magazine stands for came to life that night. 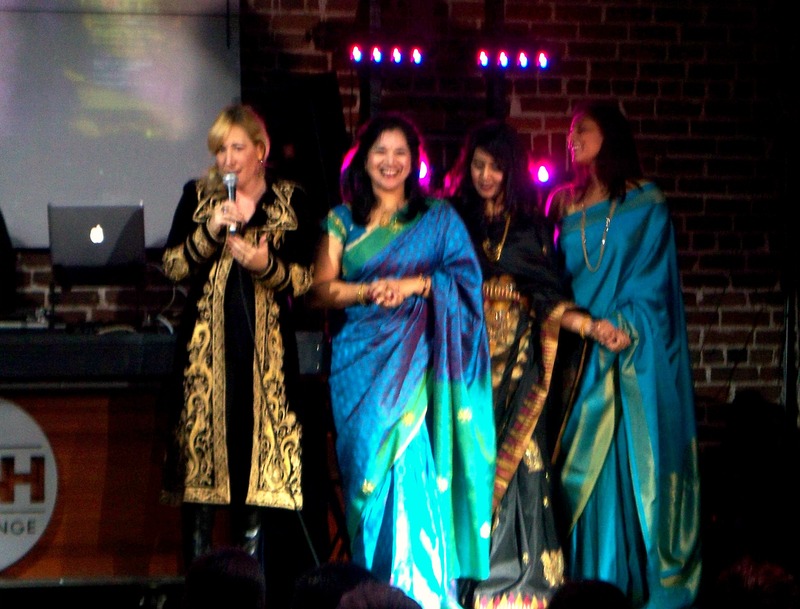 Fashion, flavor, and culture… it was So Not Sari! The power of generosity easily opens our eyes to the importance of life. It warms our hearts in seconds yet manages to last a lifetime. In the moment…we offer a helping hand. Our helping hands, powered by generosity, are what truly makes us so fabulous! So why discuss fabulous helping hands? Well, here’s the story: VERTICAL Tampa Bay reader, Upendra Reddy, reached out with an offer to donate a collection of Indian Saris to Fashion Week Tampa Bay 2010 fashion designer, Kimberly Hendrix. She’s a local Tampa Bay designer who reuses, recycles and renews materials to create her gorgeous vintage-inspired and handmade garments and was featured in the fall issue of VERTICAL. Upendra’s generosity touched Kimberly, and Kimberly decided to donate 50% of the proceeds from the collection she creates with the Indian saris to a good cause of Upendra’s choice. Upendra has a heart for children who are homeless, and the organization StreetSAFE happens to provide for homeless children in the Bay area. This Friday all of these helping hands will be united! Kimberly Hendrix for k.hendrix is creating a 12-look collection exclusively for VERTICAL Tampa Bay. The collection will be showcased at So Not Sari which is an exotic fashion presentation on Friday, February 11, 2011 at PUSH Ultra Lounge in downtown St. Petersburg.”So Not Sari is a celebration of hope, love and fashion,” says Leslie Joy Ickowitz, publisher and creative director of VERTICAL Tampa Bay. After the presentation, the garments will be featured in a live auction benefiting StreetSAFE – a division of the Family Resources Foundation devoted to the homeless children population in the Bay area. This event is invitation only. You can check back here though for post coverage updates and join us as we Get VERTICAL this Friday!